Being a royal is terrific. Although there is a lot of excitement to living the privileged life, one can get worn out easily with all the protocols and duties. Duchess of Cambridge, Kate Middleton, has shown that she's a natural, managing to remain effortlessly gorgeous all the time, whether she is being professional or just having a good time. For this reason, this beautiful woman has remained a favorite among the royals. .
Well, a rare video featuring Kate and her sister, Pippa, carrying out bridesmaid duties when they were little has surfaced recently. And, from the video, it seems the reason the Duchess is so good at what she does is that she's been doing it since she was 9. The home video was taken in 1991. Kate's uncle, Gary Goldsmith, was getting married to his fiancee, Miranda Foote, and the little girls got to do the honors. 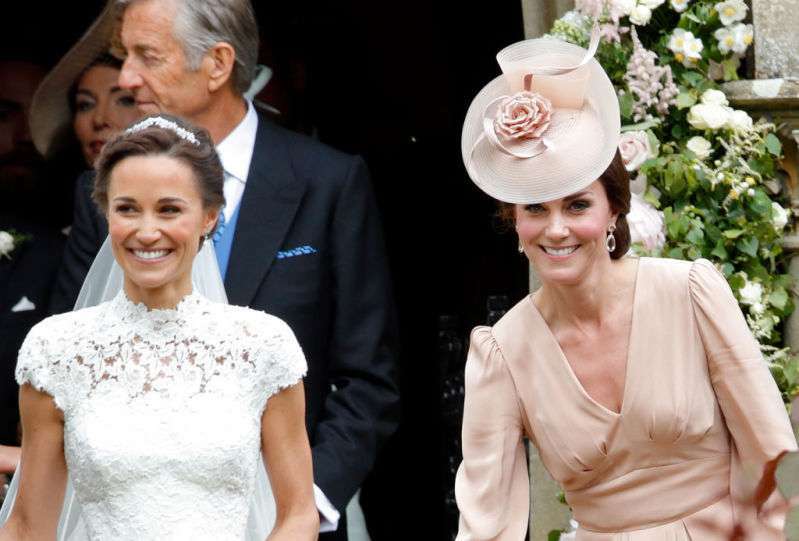 Kate and Pippa were dressed in beautiful pink dresses and had on a flower crown. As expected, she played her role effortlessly. She smiled through most of the video, waving and saying hello to the cameras. Although she was just nine at the time, Kate can be seen handling her duties correctly, right from the walk down the aisle to posing for the family pictures. Her little sister, Pippa, on the other hand, didn't seem so impressed. It was pretty obvious the little girl couldn't wait to get out of there. Little James Middleton was also seen as the page boy. Another rare video of the Duchess recently made its way to the internet. Here she took on the leading role in her school production of 'My Fair Lady.' And she was stunning, as always. Kate got married to William in 2001, after they met at the University of St. Andrews. Since Kate became a member of the privileged family, she has been a favorite among royal admirers, mainly because she's so good at her job. Now we know why!